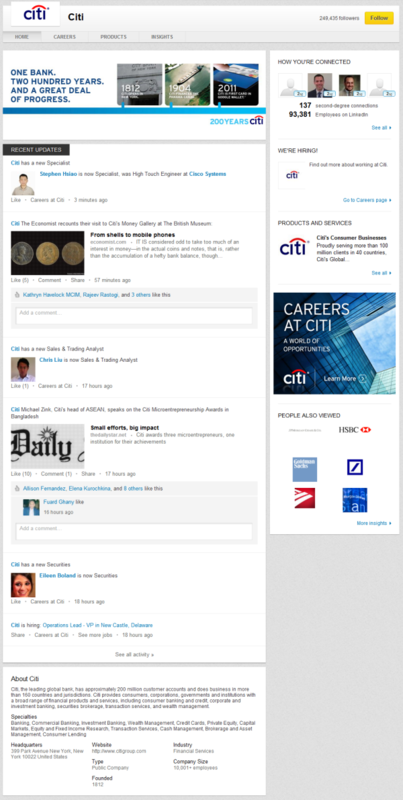 A few weeks ago, we alerted you to the pending arrival of the new LinkedIn company page design. In fact, we wrote an entire ebook about how to set it up. Problem was, the new layout and design wasn't available to everyone yet. So you may have learned what you'd have to do eventually ... but you couldn't actually, you know, do it. Wait no longer, marketers! 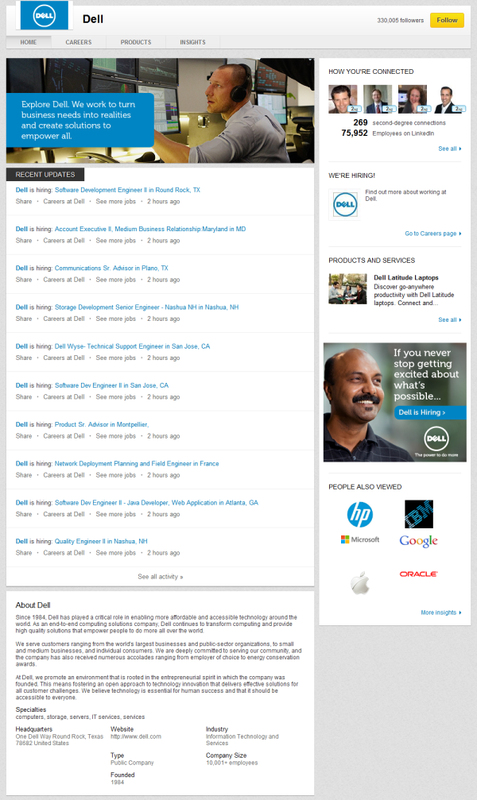 The new LinkedIn company page design is HERE! Go set it up! Right now! If you need a little refresher about what to do to set it up, reference our ridiculously in-depth ebook on the subject, A Step-by-Step Guide to LinkedIn's New Company Pages. But that's not what this post is for. This post is to highlight some of the companies that have already set up their pages -- they were included in the beta -- so you can get a little inspiration for your own page! 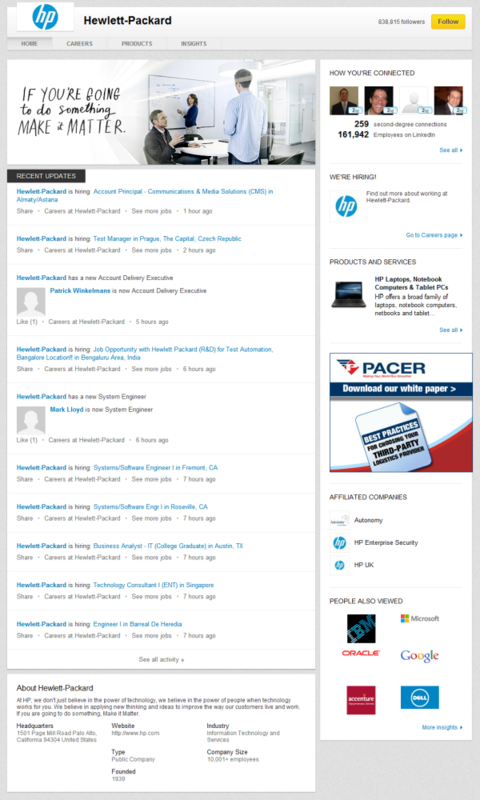 Let's take a look at the new LinkedIn Company Pages in action. We're featuring Dell's page here to teach a lesson about getting around the 'About' section. Do you notice how with the new pages, the 'About' section has been moved to the bottom of your page? Well, if that bums you out, you can do what they've done, and incorporate a little snippet about who you are right into your brand spankin' new cover photo! However, I do like the more creative, artistic cover photo that HP has created. There is still copy on there that explains who they are ... it's just not so literal as what Dell has done. Their copy is more inspirational, and probably encourages people to investigate their LinkedIn presence a tad more than some generic boiler plate copy. This speaks to what HP believes in. If you were to click 'See all,' you'd be taken to the new 'Products & Services' page which, frankly, isn't that much different. 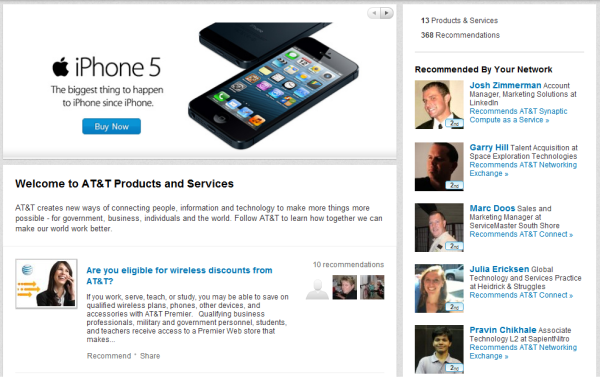 However, one really cool new element is the prominence of recommendations. Now, visitors can see who in their network has recommended your products or services. That whole element of social proof is pretty darn strong! If you're worrying what on earth to put in that new cover photo of yours, consider the creative spin Citi has taken. They've actually turned their's into a timeline of their company history -- a perfect alignment with the horizontal cover photo! You could also repurpose the cover photo you're using on your Facebook Timeline if you just adjust the dimensions a tad! 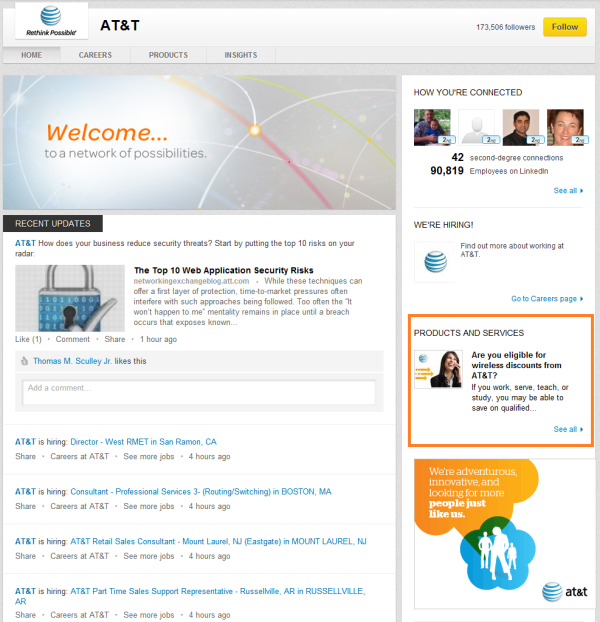 Of course, we wouldn't leave you without a sneak peek at our own LinkedIn page. 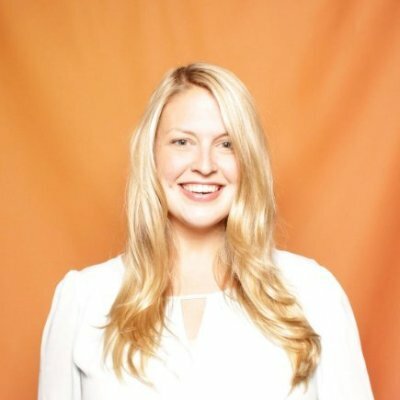 It's not just because I love looking at how happy our inbound marketing software makes my coworker Pam in that cover image. It's because I want to highlight one last feature of the new LinkedIn Company Pages -- the ability to target your page posts. Now, that is not a new feature. But you might not have even know it was a feature before, because it was kind of hidden. So, see our most recent update? If we wanted to, we could target that to only a select audience of our LinkedIn followers! We love the greater emphasis on personalization we're seeing here ... as you may know, we're also pretty big fans of greater personalization abilities in marketing. 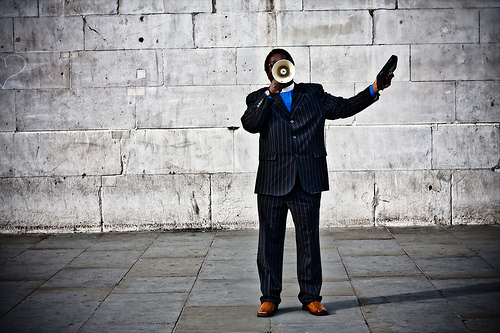 Are you going to set up your new LinkedIn company page? 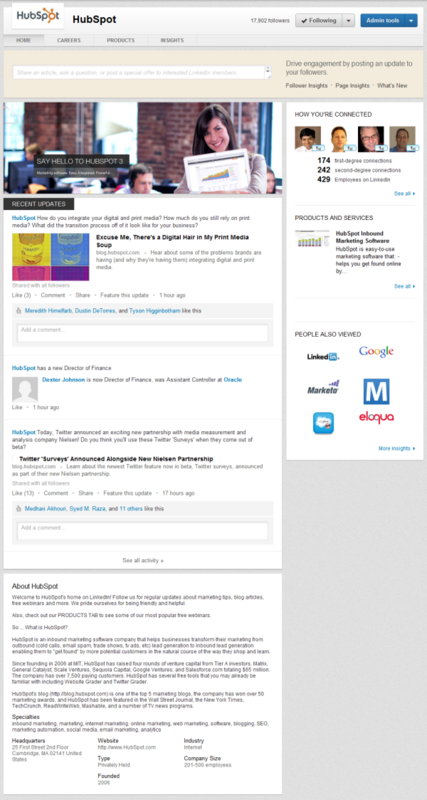 Are you taking the new layout as an opportunity to get more creative with your LinkedIn presence?